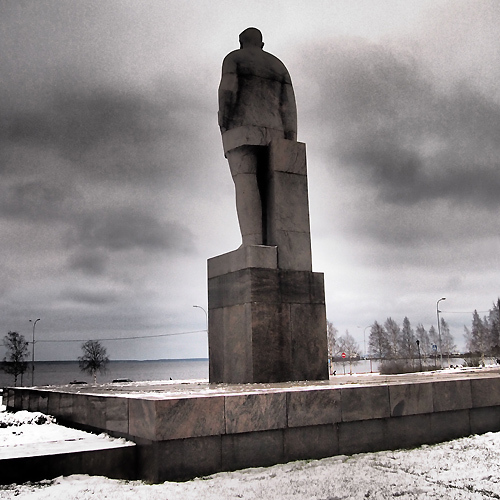 The granite monument to Kuusinen in Petrozavodsk erected as provided in Resolution of Central Committee of the CPSU and USSR Council of Ministers on June 16, 1964 «on Perpetuation of the memory of Otto Vilgelmovich Kuusinen». The monument was opened on June 22, 1973. The authors of the monument are: sculptor Boris Dyuzhev and architects Alexander Zavarzin and Eugene Kulaga. Local people call the monument «The Fisheries Enforcement».